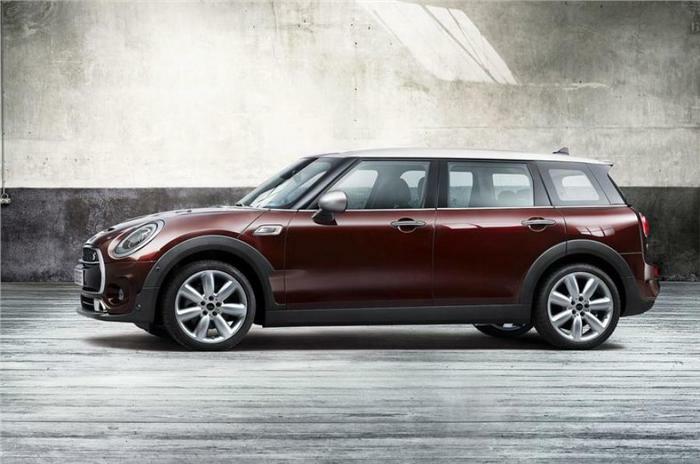 BMW’S Mini has showcased the brand new car called Mini Clubman. 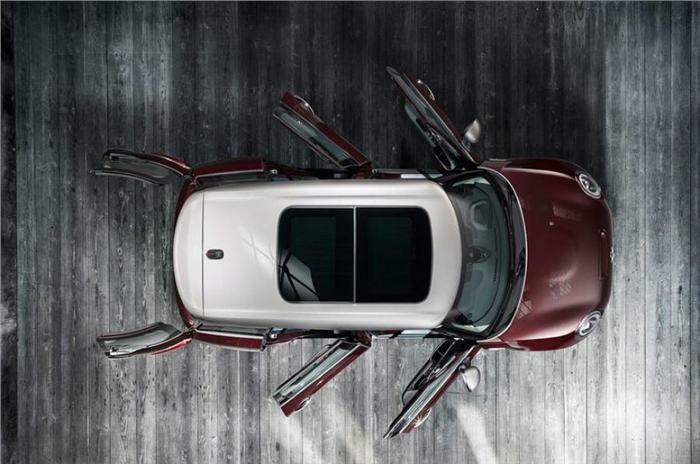 Clubman is going to be Mini’s largest model till date. The new car is based on the Clubman concept which was showcased at Geneva Motor show in the year 2014, Mini’s new Clubman is 158mm lengthier, 10mm wider and 119mm lower than the exisiting largest model – the Mini Countryman. Talking about the dimensions of new Mini Clubman it meaures 4,253 mm in length, 1,800 mm in width and 1,441 mm in height making the all new mini Clubman significantly larger than that of old model (Countryman). The increased dimensions of the car has resulted in increased kerb weight of the car which is s 1300kg – arounf 155kg more than Mini Countryman. 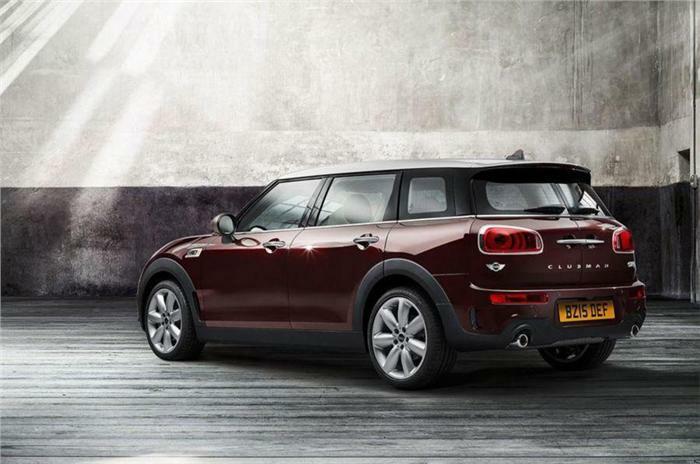 When it comes to design of the new Mini Clubman, the car steals most of the things from the latest generation Mini. The front of new Clubman features a very large single-frame grille which is flanked by oval shaped headlamps with LED graphics and also a rounded clamshell style bonnet. Mini’s new Clubman does get a chrome garnish around the turn signals, with 4 front hinged frameless doors as well as the black body cladding. The rear doors of Clubman are big in size which stretches over the back wheel arches that significantly improves the ingress and egress. tail lamps which are seen on other Mini models have been replaced by large horizontal units. 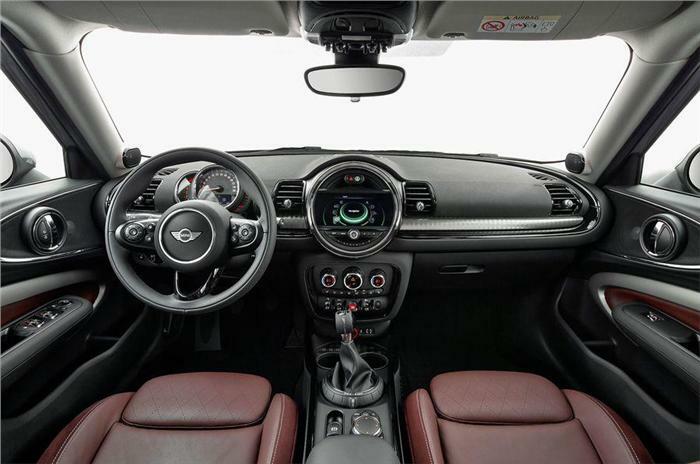 Talking about the interiors of new Clubman, the dashboard layout of the car is very similar to the one which is present on the new Minis, with a very large centrally mounted round binnacle which houses the advanced infotainment system with a BMW style rotary control which is located between the front seats of the car. The control surfaces of new Mini Clubman is fresh. Clubman is expected to be powered by a 135bhp, 1.5-litre 3 cylinder petrol engine along with 2.0-litre 4-cylinder petrol and diesel engines in various flavors. Mini Clubman would also be offered in a S variant with the 2.0 litre petrol motor which is expected to deliver around 190bhp of power. 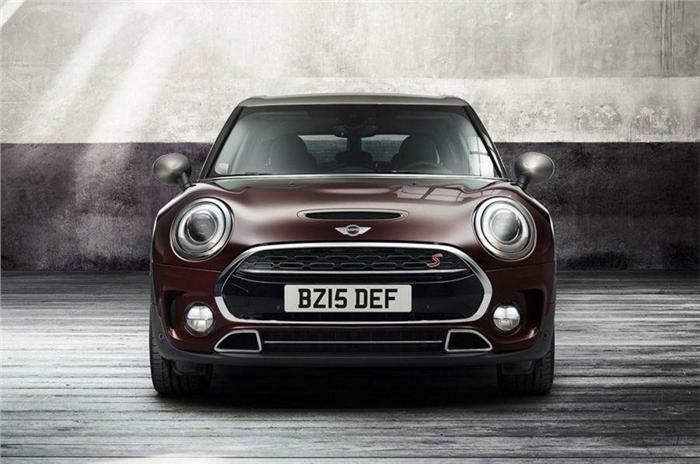 The diesel engine of Mini Clubman is expected to develop around 148bhp in the D variant. New Mini Clubman uses a 6-speed manual transmission with either a 6 or 8-speed automatic power transmission with paddle shifters. The Clubman goes on sale internationally by the end of 2015. It is quite unlikely that new Mini Clubman would land in India, where Mini currently offers the new Mini Cooper and Countryman models.